Kevin VanDam was born on the 14th October 1967, in Kalamazoo, Michigan USA, and is best recognized for being a professional bass fisherman, who competes for the Bass Anglers Sportsman Society (BASS), and is considered to be the best in the world, as he has won four Bassmaster Classic titles, seven Angler of the Year titles, and has won more than $6 million in competitions. His career has been active since the early 1990s. So, have you ever wondered how rich Kevin VanDam is, as of early 2017? According to authoritative sources, it has been estimated that the total size of Kevin’s net worth is over $8 million, an amount which has been accumulated through his successful involvement in the sports industry as a professional bass fisherman. Additional to this, he has a number of different sponsors, which have also had a huge influence on his net worth. 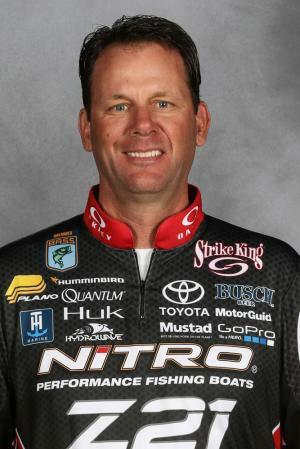 Kevin VanDam spent his childhood in his hometown, where he matriculated from Otsego High School. Other information about his early life is unknown in the media, except that he initially worked as the salesman of boats and tackle. Kevin’s professional career began when he was 23 years old in the early 1990s, when he first joined in competitive bass fishing. Two years later, he won his first title, the Toyota Tundra Angler of Year, becoming the youngest person to win that title. He repeated that achievement six more times, in 1996, 1999, and each year from 2008 to 2011, which has added a considerable amount to his net worth. Furthermore, Kevin won two big awards in 2001 – his first Bassmaster Classic title, and the FLW Angler of the Year. Later, he repeated the success by winning three more Bassmaster Classic titles in 2005, 2010 and 2011. He and Rick Clunn are the only professional fishermen to have won four Bassmaster Classic titles. During his career, he has won money in all of the tournaments in which he competed, increasing his net worth by a large margin. Beside that, he has also had 105 top 10 finishes through 2016. Most recently, he won the 2016 Toyota Bassmaster Angler of the Year Championship. During his career, Kevin also received numerous prestigious awards, including the first-ever Outdoorsman of the Year ESPY Award by ESPN in 2002, alongside professional golf player Tiger Woods. When it comes to speak about his personal life, Kevin VanDam is married to Sherry, with whom he has two sons; their residence is still in Michigan. He is also known as a huge supporter of a number of charities, and he established with his wife the Kevin VanDam Foundation, which helps children in all areas of life, such as education, health, etc. In his spare time, Kevin is active on such social media platforms as his official accounts on Twitter and Instagram.